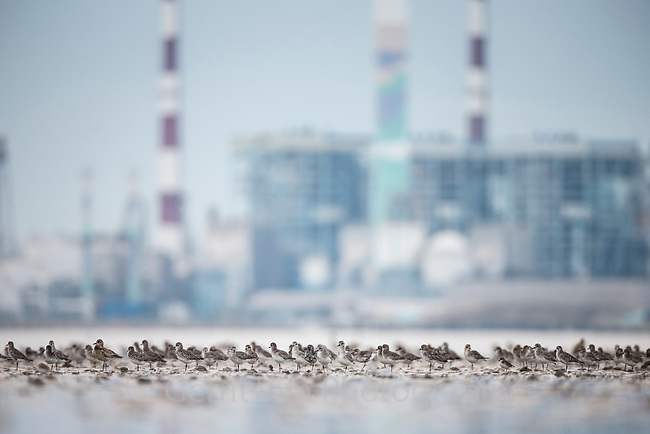 A flock of plovers roosting in South Korea's Geum Estuary. This estuary, flanked by industrial development is the last remaing high quality habitat for Spoon-billed Sandpipers in the ROK. October.